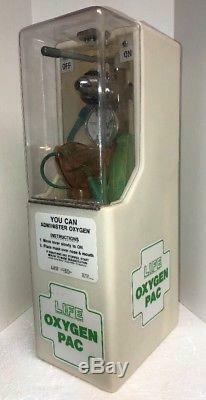 LIFE Oxygen Pac Oxygen Tank Portable Emergency Supply. Its ready to save a life! It continues to be the superior, easy-to-use oxygen inhalator for breathing victims and resuscitator adjunt for non-breathing victims. 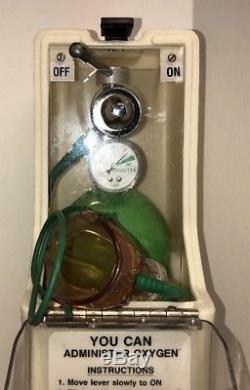 An ideal AED companion that provides supplemental oxygen to a breathing victim, or continued supplemental oxygen after successful defibrillation. CPR masks eliminate direct contact and contagion, and the LIFE CPR Masks feature a universal fit for adult and child. It is important to be prepared BEFORE the ambulance arrives, and the LIFE OxygenPac is ideal for all industry and office spaces, and is perfect for adhereing to government onsite workplace safety and first aid programs. Spaces that will benefit from the inclusion of the OxygenPac in their first aid program would be public buildings and gathering places, retail stores, schools, gyms, pools, hotels and resorts, restaurants, and entertainment centers. External Two-step Instructions and Clear Cover! 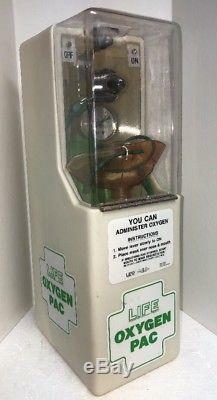 Inhalator: administer supplemental oxygen for a breathing victim. 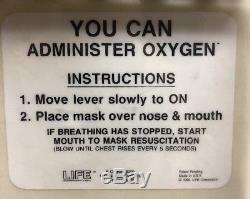 Resuscitator: oxygen enriched mouth-to-mask CPR for a non-breathing victim. 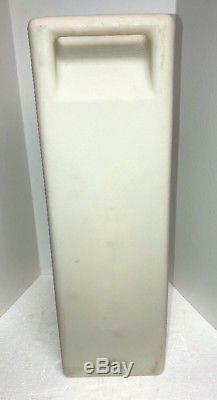 Easily Portable with convenient handle 20" x 6" x 9 - 16lbs - Aluminum Cylinder. Wall Mount for Recognition and Accessibility, always available on display for easy access. Constant Reading Supply Gauge (other units must be turned on to read gauge). 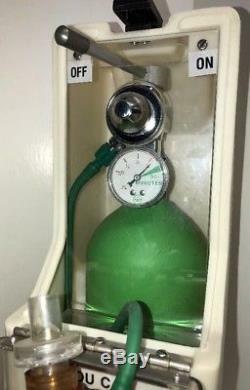 Resuscitation LIFE CPR Mask with One-Way Valve fits both adult and child. Cylinder is easily disposable/replaceable or refillable at local gas distributors. Tight Seal Protects Unit from Dust and Moisture. Condition: Used - Some discoloration and scratches. 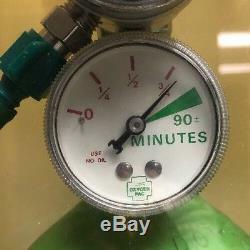 Included: Only what is seen in the pictures - 3/4 full oxygen included. 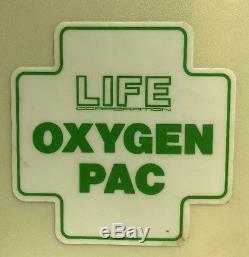 The item "LIFE Corporation Oxygen Pac OX Tank Portable Emergency Supply Made in USA" is in sale since Sunday, February 25, 2018. This item is in the category "Business & Industrial\Healthcare, Lab & Life Science\Lab Supplies\Lab Safety". 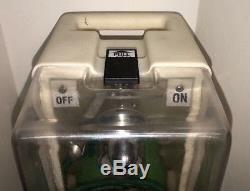 The seller is "answerguy8" and is located in Bay City, Michigan. This item can be shipped to United States, Canada, United Kingdom, Denmark, Romania, Slovakia, Bulgaria, Czech republic, Finland, Hungary, Latvia, Lithuania, Malta, Estonia, Australia, Greece, Portugal, Cyprus, Slovenia, Japan, China, Sweden, South Korea, Indonesia, Taiwan, Thailand, Belgium, France, Hong Kong, Ireland, Netherlands, Poland, Spain, Italy, Germany, Austria, Israel, Mexico, New Zealand, Philippines, Singapore, Switzerland, Norway, Saudi arabia, Ukraine, United arab emirates, Qatar, Kuwait, Bahrain, Croatia, Malaysia, Chile, Colombia, Costa rica, Dominican republic, Panama, Trinidad and tobago, Guatemala, Honduras, Jamaica.